The owners of this contemporary home tastefully paired rich brown woodwork with slate tiles. 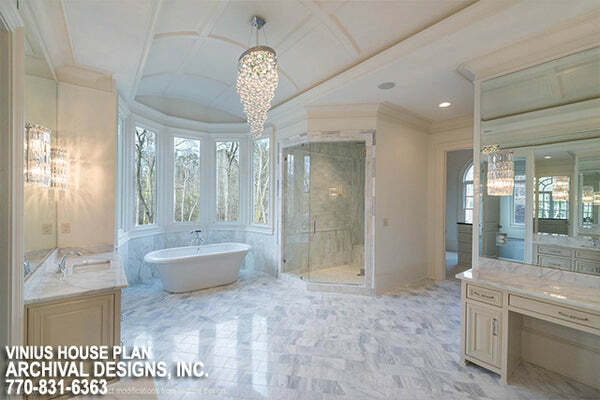 In addition, sparkling geometric glass accents to create a bathroom as beautiful as any luxury high-end spa. Pair polished marble with gleaming chandeliers to create a calming environment in your private retreat. Most noteworthy is the combination of floating, marble topped bathroom cabinets and large mirrors help bounce light throughout this traditional space. 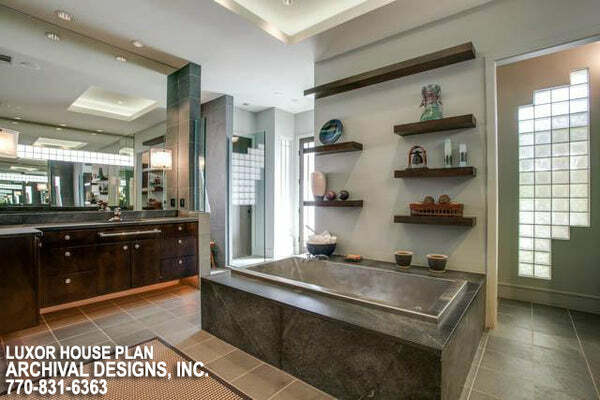 The elegant barrel vaulted ceiling treatment adds visual height, and frames the streamline soaking tub. Play with texture while maintaining the harmony of the warm earth tones throughout the space. For example, this owner incorporated traditional elements such as the gilded, framed mirror, with large honed tiles and stained cabinets. Speckled granite counter tops and a custom stained glass window add character to this luxurious space. 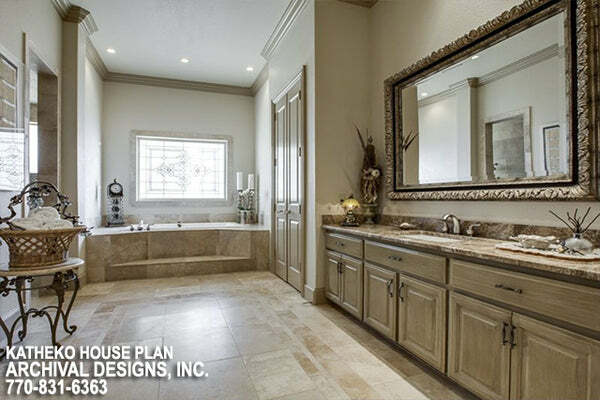 Katheko House Plan - Luxury Master Bathroom Retreat What are some of the ways you dream of incorporating into your new bathroom retreat? Check out our best sellers or contact our home plan specialists to get started on your home today!